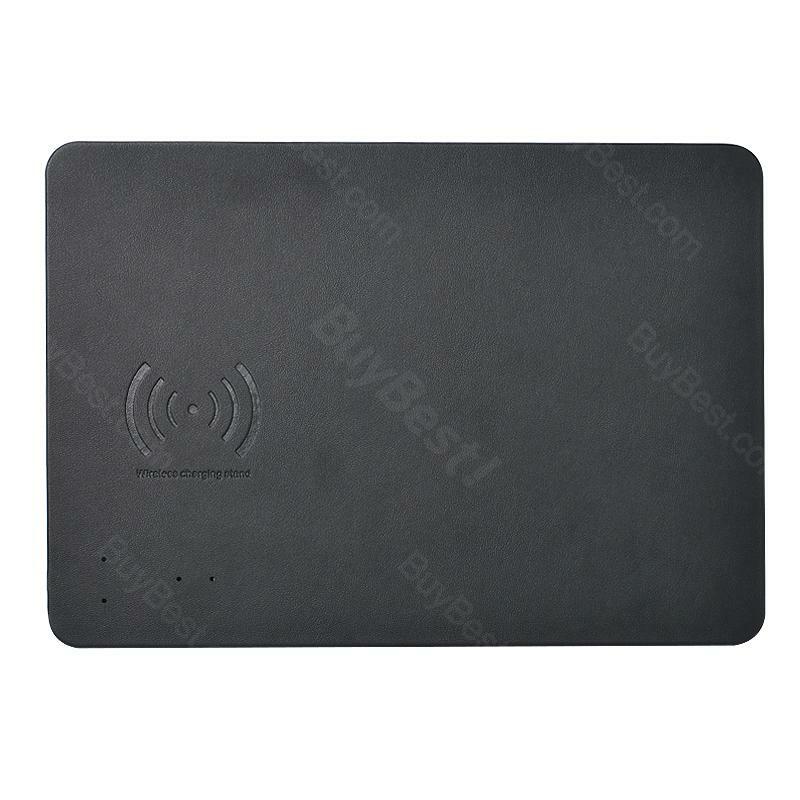 Wireless Charging Mouse Pad, which gives you comfortable feeling because of advanced leather material, adopts 2 in 1 use for wireless charging and mouse pad. Take it to bring convenience. Wireless Charging Mouse Pad for Phone adopts standard Qi built-in charging control chip ensure a high charging efficiency along with low temperature. 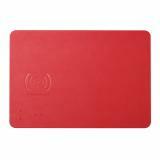 Leather feel material provides a ultra-smooth surface for improved mouse precision and nonslip flannelette base keeps mouse pad firmly in place. Charging you phone by dropping it on the charging zone of the mouse pad and take it away without any restriction of a charging cable. Excellent phone charger for working with a computer. Applicable to iphone8 and Samsung or Android other brands with wireless charger function. 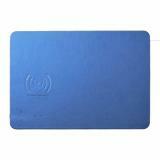 • Quick links: Mouse Pad for Laptop, X5 Crack LED Gaming Mouse. This thing is amazing. It's like the finishing touch to my RGB system. The software makes it so you have an incredible amount of control over the lighting effects, and it feels so quality. I boxing experience was phenomenal. I wasn't sure if I would like the switch from a felt mousepad to a hard top mousepad, but it feels so smooth and effortless to move the mouse that once you get used to it, you'll never want to use felt a mousepad again. Great for a low-friction pad that still has texture to it. The LEDs look excellent and perform very well with the CUE application, they match exactly what you'll find in the Corsair keyboard and mouse of the same series. I suggest getting a cable holder for your mouse because you're going to need to bundle up the cord, since the USB port is only inches away, and the bundle can create resistance to movement and bump into things, so suspending the cord gives you a much nicer point of articulation. The software makes it so you have an incredible amount of control over the lighting effects, and it feels so quality. I boxing experience was phenomenal. I wasn't sure if I would like the switch from a felt mousepad to a hard top mousepad, but it feels so smooth and effortless to move the mouse that once you get used to it, you'll never want to use felt a mousepad again. I am not much of a mouse/keyboard game player as I do a lot of controller gamer, but I do a lot of production style work as well. This is an awesome mouse pad. Huge surface area, the RGB colors are bright, and when you mix it with a Corsair RGB mouse and Keyboard, the Corsair Utility software makes all three work well together. This mouse pad was just what I was looking for. Wrist support but a stiff frame.